Cabled ALPACA Dress socks! The stylish dress sock! 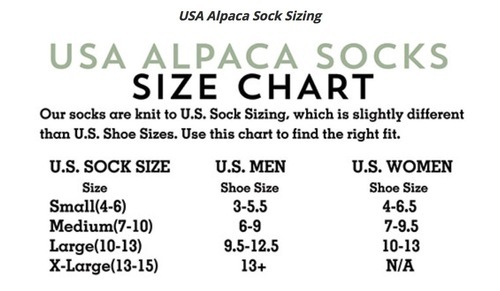 USA Alpaca Socks size chart. The Ribbed Alpaca Dress sock: 75% Alpaca fiber content! 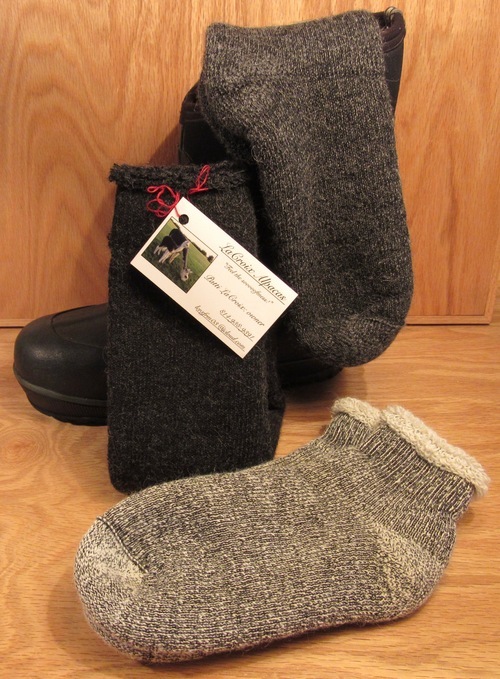 For excellent warmth in luxurious Alpaca: Heavy and/or Quarter Thermal Alpaca socks! Designed & Manufactured in NORTH AMERICA! Hand or Machine wash. LUKEWARM water. Suspend to dry. Shoes make the man or woman. Therefore, the socks on your feet are important! The Fashion Cable Alpaca Dress sock is a medium-weight, alpaca dress sock that is knit with a classic textured knitting stitch and attractive knit cables along the length of both sides of the sock, from top to toe. 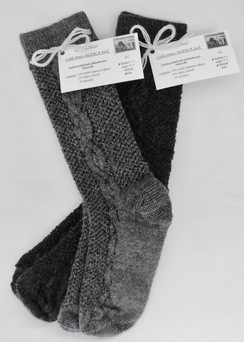 The fiber content of the Fashion Cable Alpaca Dress sock is 75% luxurious North American Alpaca blended with 23% Nylon for excellent durability and 2% Spandex for elasticity. Alpaca luxury for your feet at an affordable price! The Fashion Cable Alpaca Dress sock is ideal for formal wear yet makes a classy statement at work, as well! 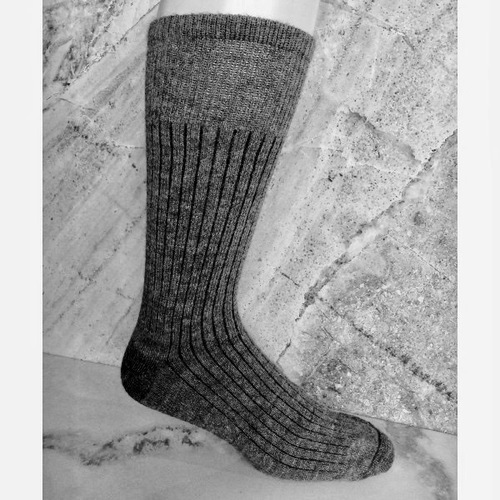 Wear the Fashion Cable Alpaca Dress sock in combination with Alpaca Insoles for even greater comfort and to slow the aging process in your feet. “Classic” Charcoal Black that blends neatly and fashionably with apparel. “Confident” Grey that stands out more boldly, bespeaking self-assuredness. FIBER CONTENT: 75% luxurious alpaca fiber blended with 23% Nylon durability and 2% Spandex elasticity. TEXTURED KNIT STITCH that enhances elasticity and prevents the dress sock from drooping. NATURAL ABSORBENCY that “wicks” moisture away from the foot and toward the exterior surface of the sock. MID-WEIGHT KNIT in order to cushion the foot from impact, to prevent the skin from rubbing against the inside of the shoe, and to avoid a bulky appearance around the ankle and distortion at the trouser cuff. Orders shipped within 48 hours. 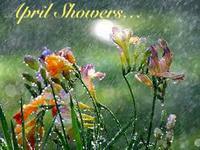 Orders received outside of business hours are processed the following business day.